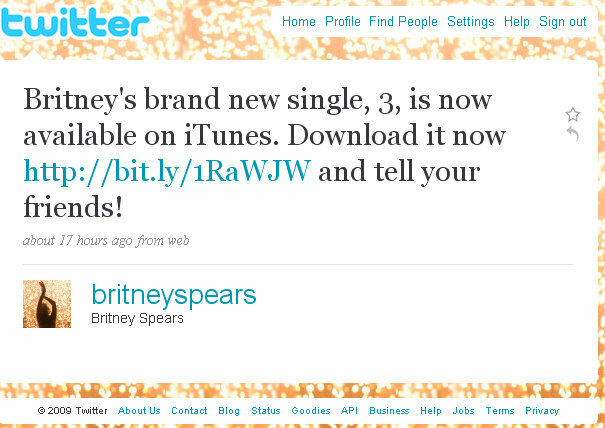 Britney Spears (@britneyspears) got excited on Twitter yesterday about her new single “3”. By the way, it only cost $1.29 on iTunes so go here to buy it. The song already has 2517 reviews with 4.5 stars out of 5 starts total. Britney Spears (@britneyspears) is currently ranked #4 by Twitterholic with over 3.4 million followers on Twitter – wow… that’s a lot!